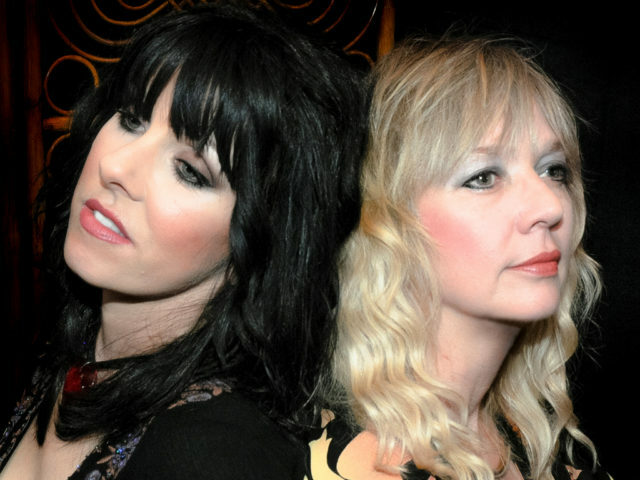 Dog ‘N’ Butterfly is an experienced and talented tribute to the internationally acclaimed band Heart. Since 2003, Dog ‘N’ Butterfly has been bringing their talent and love of Heart’s memorable music of the 70’s and 80’s to stages everywhere. 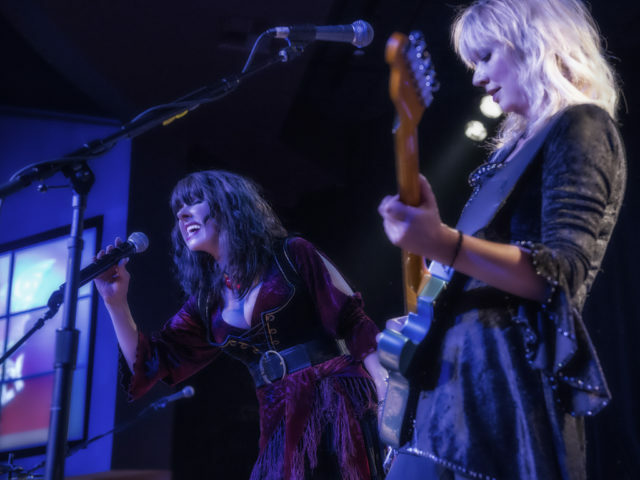 As a band of accomplished musicians, they are dedicated performers bringing fans a show with retro- inspired costumes, crystal clear vocals, and overall musical skill. 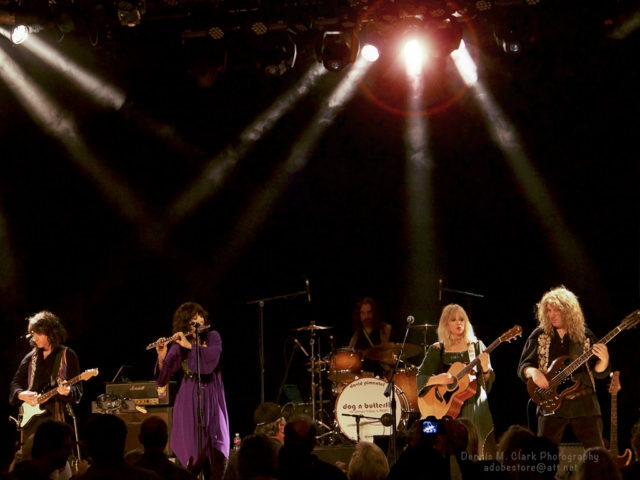 Lizann Warner fronts the band as the beautiful Ann Wilson. 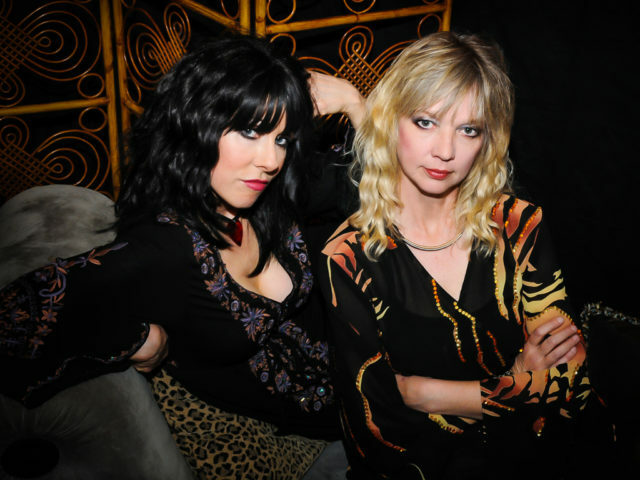 Lizann’s uncanny vocal ability has not only earned her praise from the actual members of Heart, but also landed her several tracks on popular video games such as Activision’s game “Guitar Hero III” and Konami’s game “Rock Revolution”. Her musical credits also include several popular television ad jingles as well as other great projects. Desha (pronounced “De-shay”) Dunnahoe, is a very talented artist who performs the role of Nancy Wilson on stage. Desha is a a multi-instrumentalist who plays both electric and acoustic guitars fluently. A music major from Cal State University of Long Beach, she is a gifted composer, orchestrator, as well as an instructor who teaches young music students for the Long Beach Unified School District. 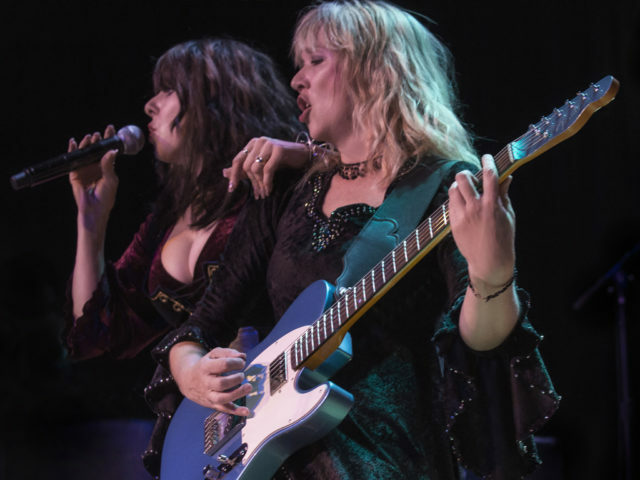 Lizann and Desha are joined by a powerful group of stellar musicians who create the look and sound so closely to the band Heart, that even Heart’s founding members Ann & Nancy Wilson and Roger Fisher have praised them for their authenticity. As the ultimate Heart tribute, Dog ‘N’ Butterfly has rocked audiences throughout the United States for over a decade. 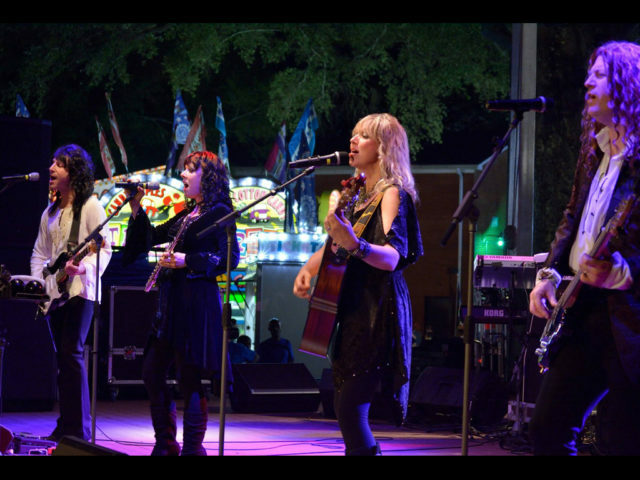 They have even performed on stage with Heart’s original members – Roger Fisher and Steve Fossen. Dog ‘N’ Butterfly have been featured live in the studio on the KTLA Morning News, and on AXS TV’s popular show, “World’s Greatest Tribute Bands”. Dog ‘N’ Butterfly is loved by die-hard Heart fans worldwide, because the band proudly and loudly performs Heart’s memorable music down to the last detail. Their dynamic stage show and costumes makes fans feel like they are at a true vintage Heart concert. 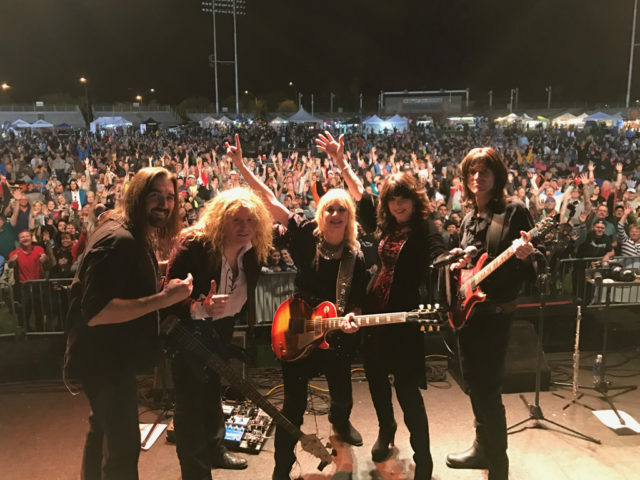 Over the years, Dog ‘N’ Butterfly has played in large venues, arenas, and theatres – showcasing great live vocals and tight sets of all the favorite Heart songs. 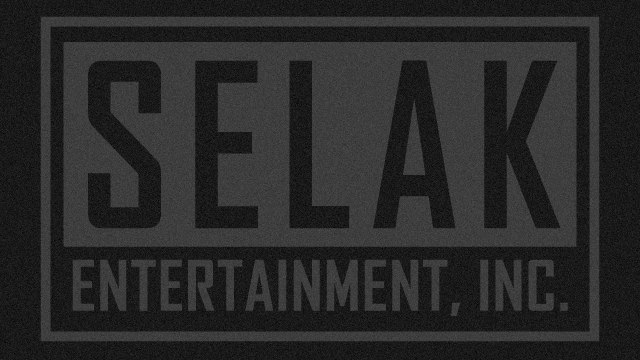 This band is wonderful for concert venues, casino events, huge outdoor festivals, private events, and night clubs. This is one dynamic rock show and a perfect fit when ultimate entertainment is needed.